Gardaí from Kilkenny, Tipperary and Carlow conducted a number of searches today and yesterday. GARDAÍ HAVE SEIZED stolen property worth in excess of €150,000 in a number of searches. As part of Operation Thor, gardaí from Kilkenny, Tipperary and Carlow conducted a number of searches today and yesterday. Searches were carried out in Carlow town, Urlingford, Freshford, Castlecomer, Cuffs Grange in Co Kilkenny and Moyne in Co Tipperary. Gardaí said a large volume of suspected stolen property was recovered as part of this operation, with early estimates putting the value at in excess of €150,000. The property recovered includes power tools, machinery, trailers, ornaments, antiques and bicycles. No one was arrested during the course of these searches and investigations are ongoing. Email “Stolen power tools, machinery and ornaments worth €150k recovered by gardaí ”. 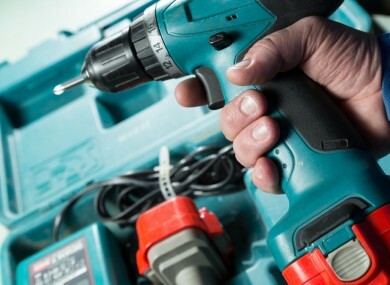 Feedback on “Stolen power tools, machinery and ornaments worth €150k recovered by gardaí ”.